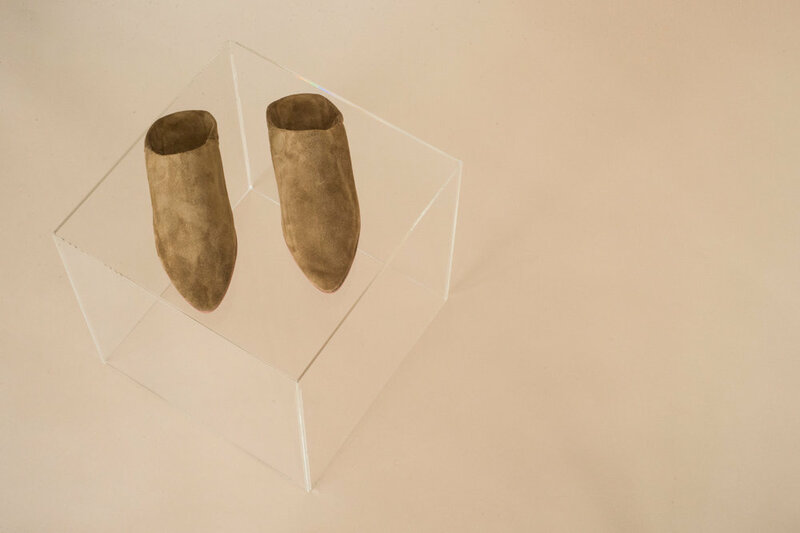 A classic Moroccan babouche made from supple buckskin suede with leather sole. Each piece is unique and will vary due to the handcrafted nature. This is a limited edition color!